The Exeter-Milligan students who participated in the Doane University Fall Festival of Winds are pictured above with Dr. Jay Gilbert, director of bands at Doane University. 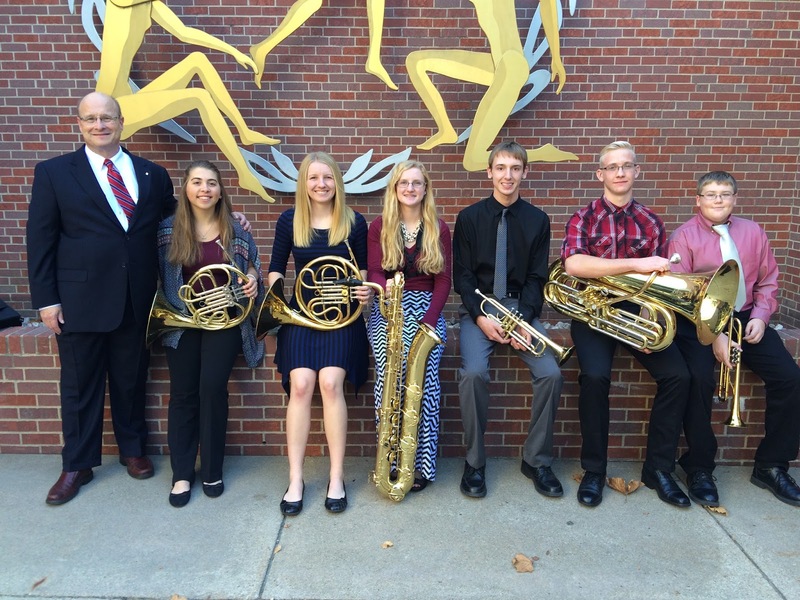 They are (L-R): Haylee Sheffield - Tiger Band; Samantha Horne, Hannah Horne; Trystan Brandt - Honor Band; Joel Klemm; Theron Odvody - Merrill Band. The students rehearsed throughout the day on Saturday, November 5, and presented a late afternoon concert.